Cheyenne: You could make a fortune. Hundreds of thousands of dollars. Hey, more than that. Thousands of thousands. 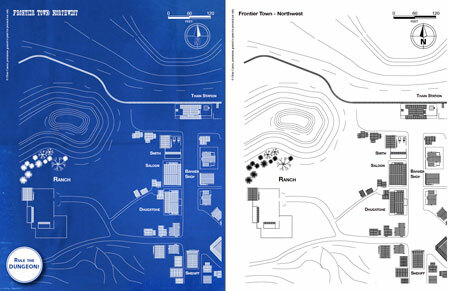 Frontier Town contains a overview map of a town and its neighborhood. It includes a small town, a mission, a fort, a railroad, a redskins camp, a ranch and more. The map is divided in six sheets with a smaller and less detailed overview map. Frontier town is perfect for starting your wild west campaign. 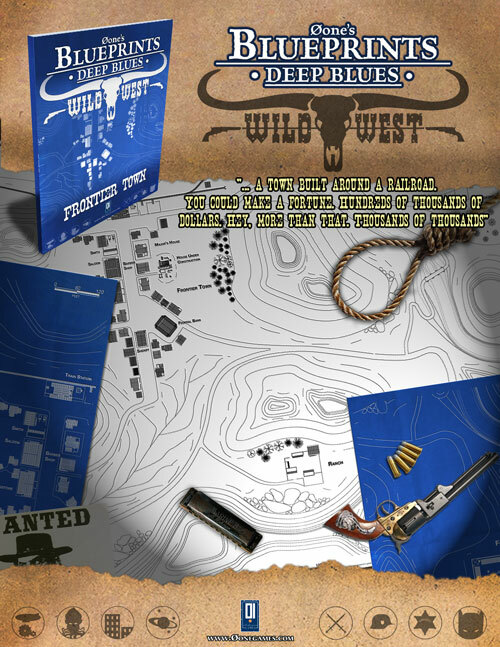 Buildings and locations are further detailed in the Wild West Virtual Boxed Set© and they are also available as individual purchases.